How do I sponsor or boost my ad? If you've worked with job boards before, you know sponsored ads get more attention than organic posts. Why sponsor through WizeHire? Boost a post through a job board and they'll charge Cost Per Click or Cost Per Apply. WizeHire does it smarter by sharing your budget over ALL the big boards and we monitor and shift funds based on what's working best for YOU! 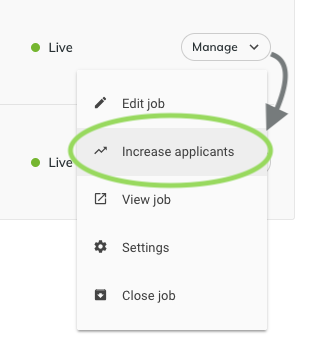 Because we adjust and allocate your budget based on the sources that are working now, your applicant flow increases. 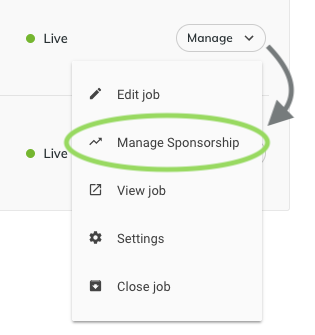 To sponsor your ad, from your main WizeHire Dashboard, click on 'Manage' to the right of the ad you'd like to sponsor. 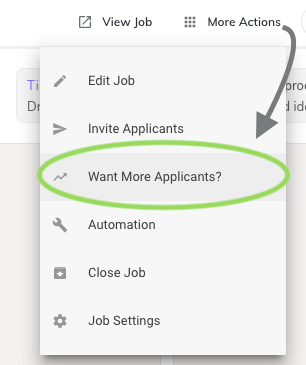 Then click on 'Increase applicants' from the menu. Then click the 'Sponsor!' box on the right, be sure to click the blue save button and we'll do the rest!